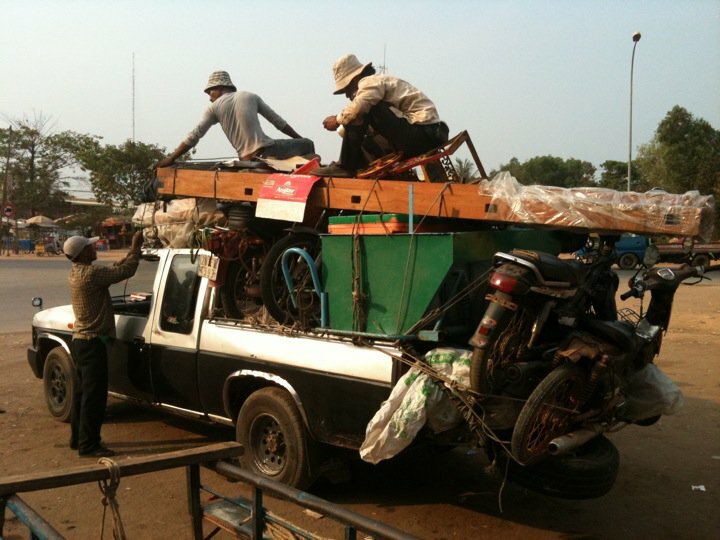 Phnom Penh sits on the West bank of the Tonlé Sap right where it merges into the Mekong. There are no mountains nearby and the the whole area is protected from the various rivers by levees and interconnected with bridges and ferries. When I arrived in late February the weather was hot and steamy leaving you pretty much incapacitated in the middle part of the day. Many tourists skip Phnom Penh and beeline it to Angkor Wat — the famous temple city near Siem Reap another 300 km further into the country, but I had talked to my motorcycle travel buddy Dylan about meeting up here to join forces and explore Cambodia with our bikes. Dylan was still in Thailand wrapping up some repairs to his Suzuki, and would have to take the long road to Phnom Penh due to a recently flared border dispute between Thailand and Cambodia. I decided to relax and take in the scene. The vibe in this city is much different than Saigon where I was just before. Even though there are several modern buildings including some skyscraper-like, things don’t look as clean and organized on the whole. The older district is full of overpacked dirty streets with coffee houses and markets. The Cyclo taxi is still in use by the locals (unlike Vietnam where it primarily is used for carting tourists) which speaks to the different economic situation in the two countries. The market photos I shot primarily at the Kandal market — a very picturesque place and busy with locals buying goods around dusk. I’m posting a lot of the Cyclo photos because I think they are fun, and it is neat they are still in use. Many of the streets in the old district reminded me of the French Quarter in New Orleans with similar architecture of overhanging wrought iron balconies and terraces where one can enjoy a sweet cold ice coffee. I bought a counterfeit copy of The Quiet American from a street peddler and spend several afternoons watching the world go by and being a flâneur along the bank of the Tonlé Sap and finally feeling like I had found the Indochina of old. Sidenote: Slackage has struck with regard to my beloved travel blog. Though I took these photos and visited these places a while ago, I intend to play some catch up and get the blog’s chronology more or less back to present time. 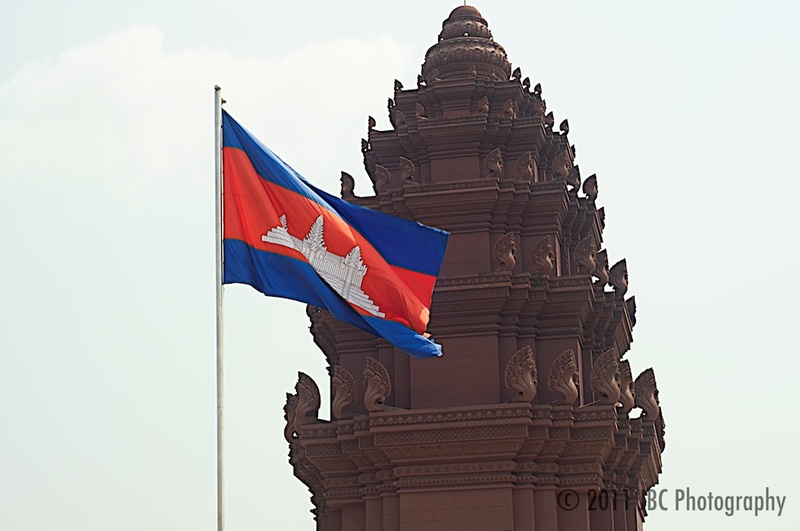 I actually visited Cambodia at the end of February of 2011. 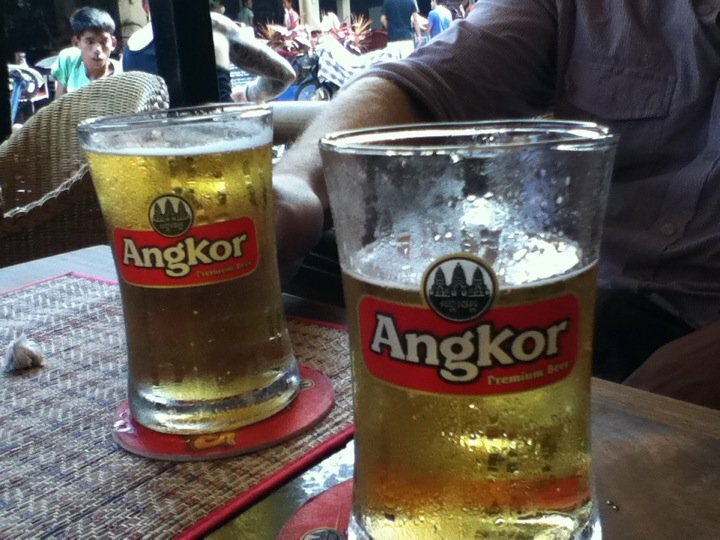 I left Saigon early in the morning, having a little ice coffee before hitting the road to fight the already sweltering heat and sharpen my senses a little for the treacherous ride ahead. 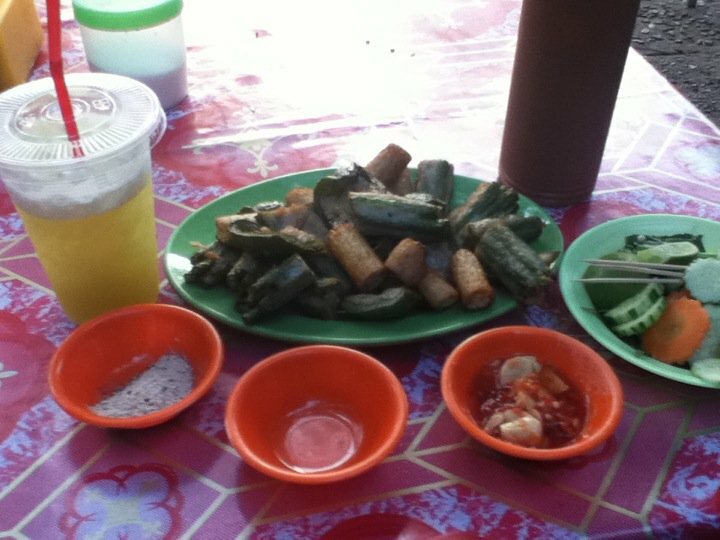 When you ride in the country in Vietnam things are somewhat predictable, as well as in the core of the cities. The main arteries leading in and out of the city, however, are deadly circuses of multi-lane traffic on roads that usually only have two lanes. The right of strongest prevails, and my Minsk is no match for a big bus or truck barreling down on me on the last bit of road left — better to run off into the ditch and take your chances there. My only goal for the day was to cross into Cambodia (Kampuchea in Khmer). 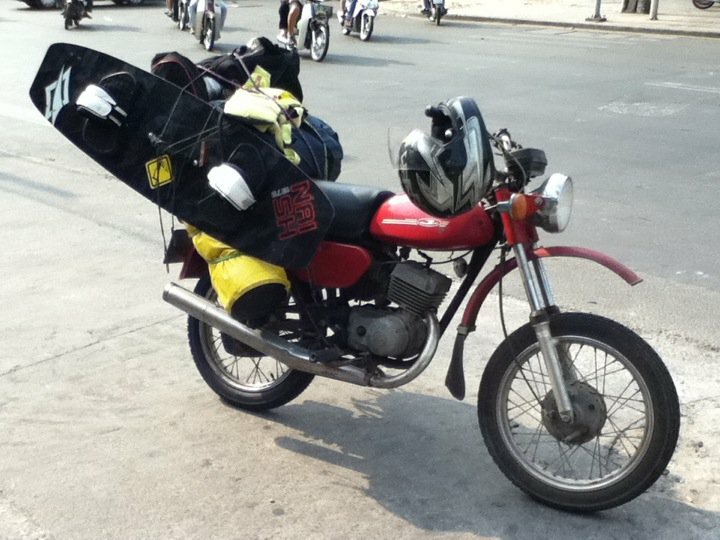 I read some conflicting accounts online that crossing the border was anywhere from impossible to “a breeze”, so with all my gear strapped on(including the kites and board) I rode straight to the border in the most optimistic of mindsets. The Vietnamese border was a breeze to cross with the only harassment a chatty border official asking me about my Minsk (“Min-car goood. How much you pay? $250? Ooooh that’s very expensive…”). The Cambodian official smiled a little when I already knew the correct fee ahead of time — they are infamous for making up the fees to whatever sucker price they can get, and other than a minor extortion attempt with exchange rate on the Vietnamese Dong they were correct and whisked me through. I realized I had enough time to make Phnom Penh by daylight — a reason for excitement, for there is not much in the way of towns with lodging between the Vietnam border at Bavet and Phnom Penh city.